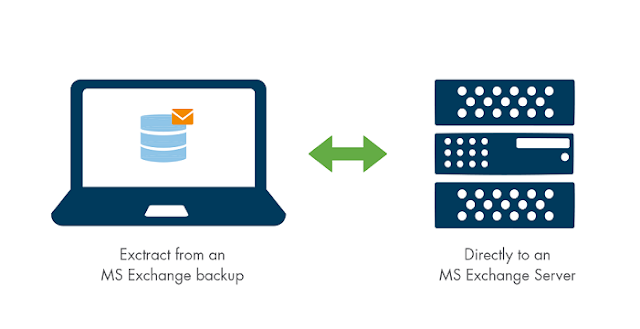 Though the architecture of public folder database has changed in recent versions of Exchange Server making it less susceptible to corruptions and other errors, some human errors like accidental deletion of public folder database can still make public folder data inaccessible to end users. 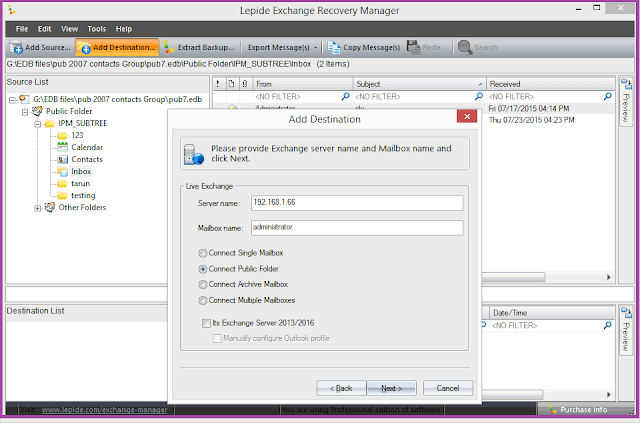 If Exchange administrators have foreseen this situation and have taken backups for the Exchange (a copy of the EDB file also is good enough), the data can easily be recovered using Exchange recovery tools like Lepide Exchange Recovery Manager. 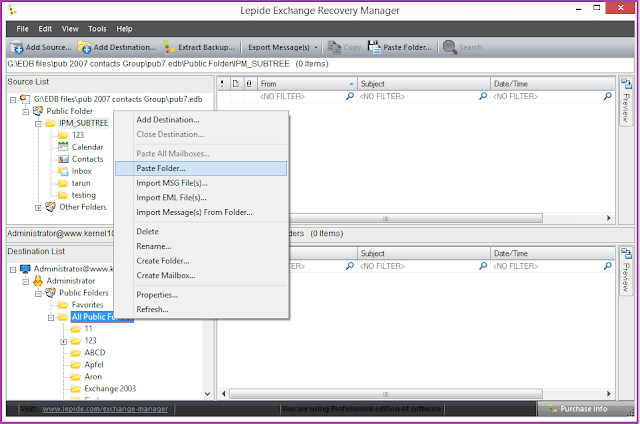 To restore accidentally deleted public folder database from EDB file or Exchange server, you can use Lepide Exchange Recover Manager. Note: To recover data from a copy of the EDB file, one can directly go to step 2. 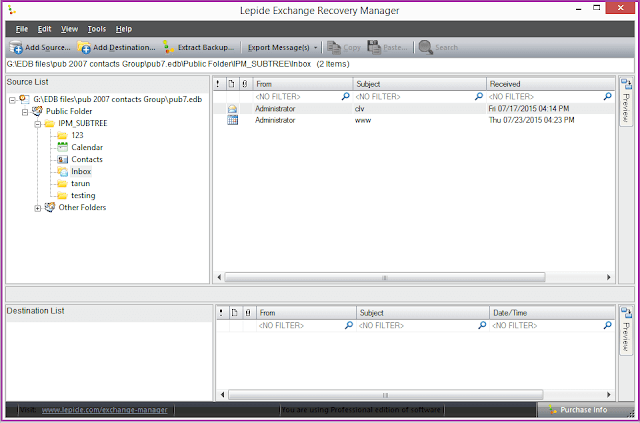 Open the Backup Extractor in Lepide Exchange Recovery Manager. 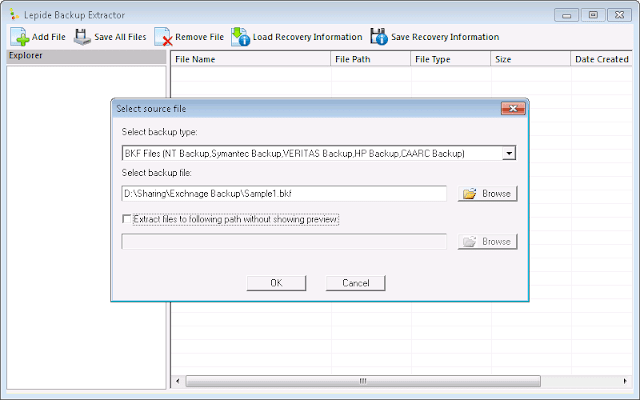 Select the backup file and extract it. When the backup file data gets displayed for preview, save the file to the required destination. 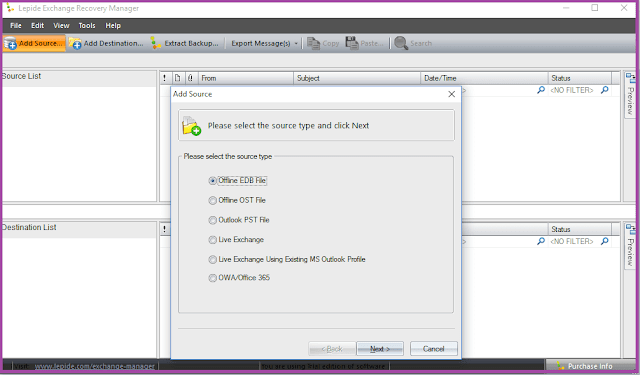 In the Add Source window, and select the source type as Offline EDB File. 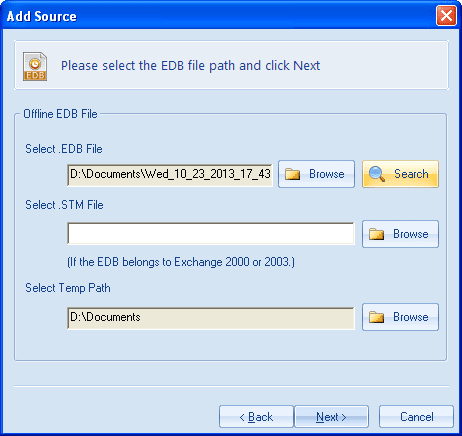 Now select the extracted EDB file (or a copy of the EDB file). Select Standard Scan option and complete the scan process. In the Add Destination window, select Live Exchange, Office 365, or PST file as destination type (according to the requirement). Provide the server and mailbox details, and choose the connection options. Provide login credentials when prompted for it. After successfully connecting to the destination, you can preview the Destination List. Finally, copy the required public folders from the Source List and paste them to the Destination List. 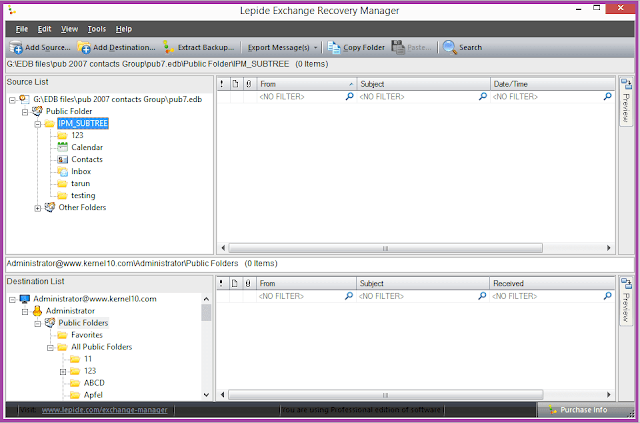 Exchange administrators rely on Exchange backups to restore the data of accidentally deleted public folder databases. 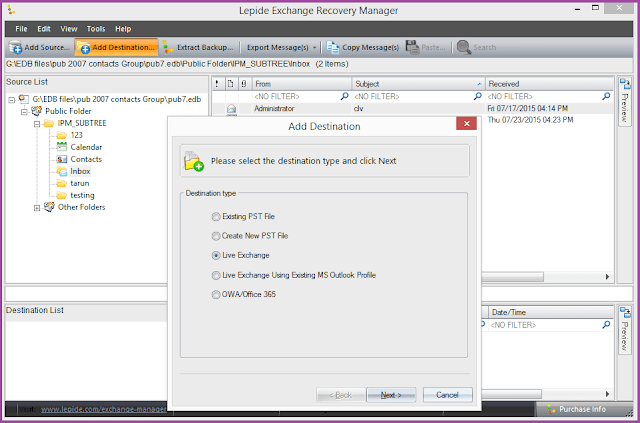 Lepide Exchange Recovery Manager, a user-friendly Exchange recovery solution, helps them in all the steps of this process—to extract EDB files from backup, to recover public folder data, and to restore/export public folder data to Live Exchange/Office 365 or PST file.